i am an emotional girl, plain and simple. and so many times i allow my emotions to run out of control and dictate my actions. so once i saw the this book, i knew i needed to read it. this was an amazingly powerful book for me. i was going through a stressful, worry-filled time. and to be honest, when i worry it makes me sassy. the other members of my household are not so much fans of this. i read the chapter on worry and instantly my heart was calmed. it made me explore my own out-of-control emotions and what God wants me to do with them. 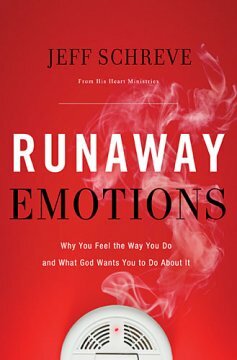 at the end of the book, i was left with such a greater knowledge of my emotions and how God uses them to speak to us. it was written in such a down-to-earth, easy to read format. it held my attention and at times, i even had a hard time putting it down. i would definitely recommend this book.